I worked with an IA and a visual designer to create a mobile app that helps employees and employers manage time off requests. On this project, I was the interaction designer. Below are a couple screens from the app. 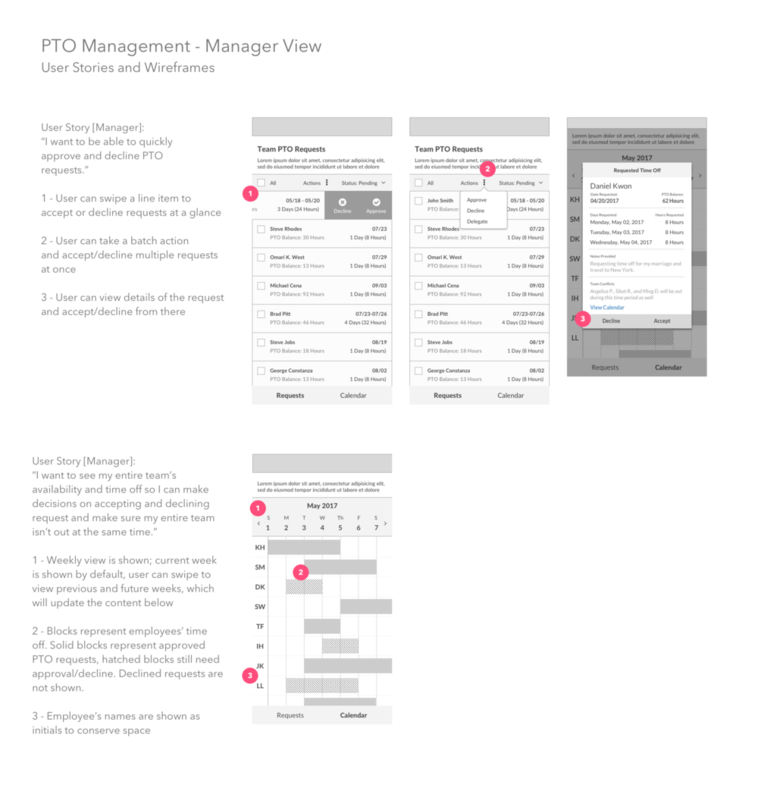 We focused on two main user stories from the manager's point of view: to approve/decline requests easily and to be able to get an overview of their team's availability. And here is an Interaction Flow I did for the Manager's View of the app. Don't know what an IX Flow is? Read more here!